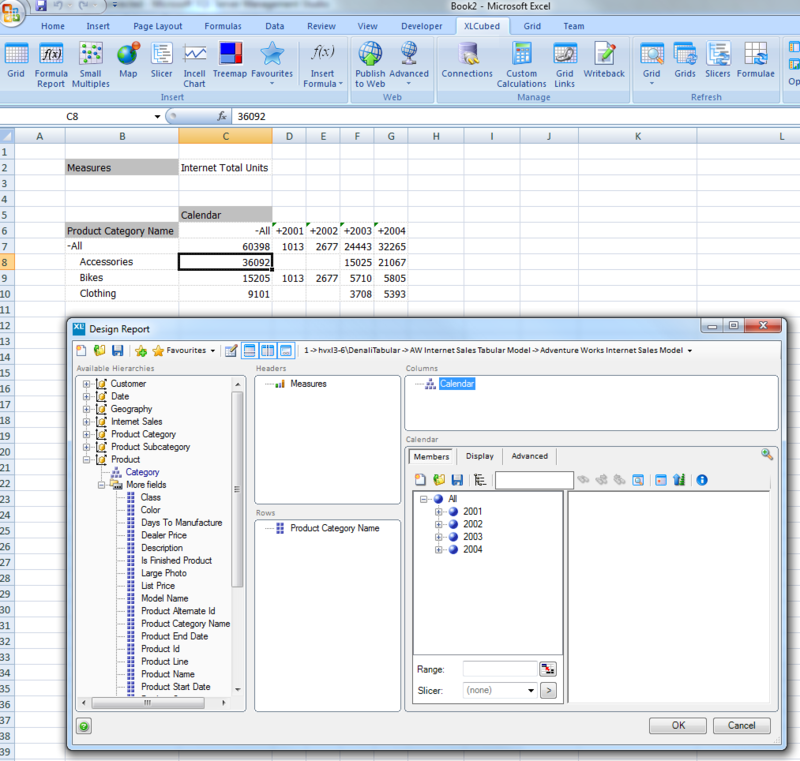 PowerPivot, SQL R2, Sharepoint 2010, Office 2010. 1. Does XLCubed work with Excel (Office 14) 2010? a. Yes, we’ve been using it since the first CTP release and each release since then. 2. Can I use XLCubed Web with SharePoint 2010? a. Yes, publishing to the web and embedding the reports within your SharePoint site works in exactly the same way as with previous versions. 3. Does XLCubed connect to PowerPivot? a. Yes, XLCubed connects to the PowerPivot published cubes, and our client tools can be used to build reports and dashboards from them. 4. Can I build reports from SQL Server R2 using XLCubed? The services team have been working on migrating some of our internal models and sample databases across to a PowerPivot environment – looking at the pros and cons, using DAX rather than MDX to perform some calculations. Results have been varied, its been interesting to see some features that we’ve had for a while (like cube formulas, slicers and web parameters) appear in a similar way in PowerPivot. Quite clearly PowerPivot isn’t the be all and end all or anything like a replacement for Analysis Services, but it certainly has a role for tactical solutions, some power user analysis, and we think likely also for RAD prototypes of larger scale AS implementations. It doesn’t venture into the gap left by PerformancePoint Planning (as many thought it would in early 2009) – we’ve moved to address this area with the XLCubed PM suite that uses in memory OLAP cubes and/or Analysis Services. If you would like to evaluate against your own data – contact the XLCubed Product team for evaluation editions or if you want to try a no risk proof of concept or prototype contact the XLCubed consulting team.